With email opening rates in the hospitality industry sitting at around 15%, it’s important to put some thought into your emails, particularly when to send them. Information sent in the middle of the night won’t get read immediately and by the morning, will be lost in a deluge of other emails. There have been many studies on when to send emails to ensure optimum opening rates, so take a look at our insights and hints. Tuesdays and Thursdays reign supreme for email newsletters. For the hospitality industry in particular, Thursdays may work best as many people will be planning for the weekend. Focus on times when people tend to check their personal email. In the UK it tends to be before work, at lunchtime and in the evening. (At around 7am, between 11am-1pm and between 5pm-7pm). Sending out a lunch offer at 10pm isn’t the best strategy when trying to gain interest in your email. It is important to remember that several factors may affect how your campaign will perform and different demographics have different behaviours. For example, younger audiences tend to be on their mobiles frequently and are active in the evening. If they are your target market, your email may be best received if sent later in the day and designed to look great on mobile. Ensure that you are creating good quality content for your audience in a newsletter. This can include a round-up of your restaurant’s activities, new menus or an event announcement. Once you have your content, we recommend tying it in with pay-day or seasonal events like Mother’s day or Black Friday to get bookings. To maximise sign ups don’t forget to include a button on your website, reservations page and Facebook page to do so, like Chaakoo have done below. Delivery rate – If you have a high delivery rate you know all the emails in your database are working. Open rate – If you have received a high open rate – you know your subject line is good or have sent at a key time of day. Click through rate – the higher this is / the more successful it is, then you know your content in the email and the placement of buttons etc is correct. If all three are high then you’re doing a great job! (The folks at MailChimp say that 21.71% for open rate and 1.33% for click through is average for restaurants and venues, FYI.) If not you can then test further by creating multiple versions with subtle changes and A/B testing them to see the highest performers. We can help with your email marketing by creating bespoke emails and email templates which are free with ResDiary. Design an email template for you to edit and use. Free reports that allow you to help highlight your most valuable customers to specifically target them. Access to spots in promotional emails. 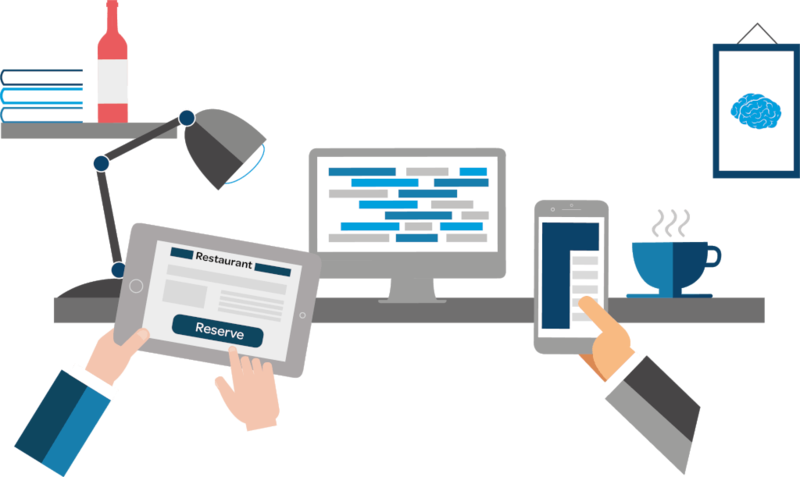 Restaurant email marketing : why customers should book?